Currently called Sakurada-mon,this gate is officially named Sotosakurada-mon,soto meaning "outer" as opposed to the "Uxhisakurada-mon" or "innee" Gate (Kikyo Gate) near the citadel.These gates were named Sakurada-mon becouse the area was called Sakurada-go (town) in the past. 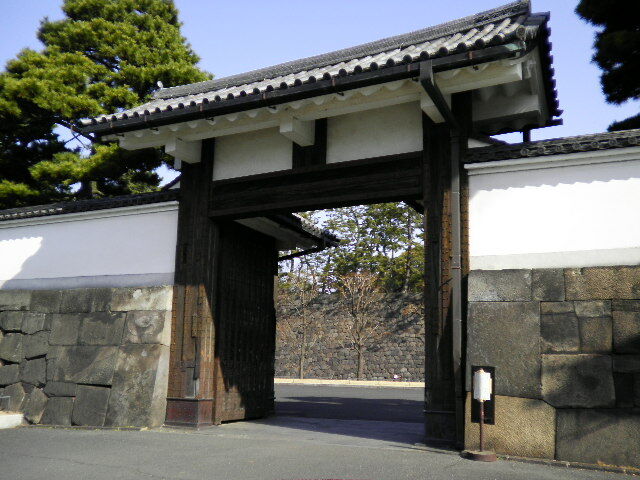 The Sotosakurada-mon Gate has a cual structure consisting of the Korai Gate on the outside and the Watariyagura Gate on the inside with a square in-between.It covers an exceptionally large area (apprx,1,056㎡) as a highly defensive castle gate for the Nishinomaru(west compound).The Sotosakurada-mon Gate was originally built in the Kanei era (1624 to 1644),while the existng gate is based on a gate reconstructed in 1663.The gate was damaged by the Great Knto Earthquake in 1923 and repaired it. 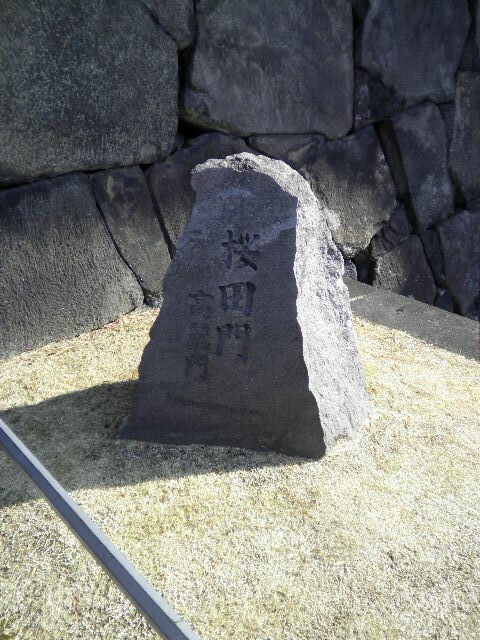 On March 3,1860,the Japanese Chief Minister Tairo li Naosuke was assassinated by a group of samurai who seceded the Mito-han feudal state outside of the Sotosakurada-mon Gate in an event known as the Sakuradamon Incident.